TRAIL UPDATE: On April 9, 2019, the Council voted to “accept the base bid from North Rock Construction LLC, along with the added alternate bid, in the total sum of $908,621.25, with the instruction given to staff at the time of the contract signing, that there will be no construction on the Leonard Trail portion or the ONCOR/Fairways portion of the contract for 90 days." This allowed time for a working group to be established by the Mayor to explore possible alternative routes to the section in the ONCOR easement and for staff to continue to work with the private property owners on a land donation for the discussed alternate of the Leonard Trail segment. The Mayor has now established the working group to investigate all alternatives to the current ONCOR/Fairways trail segment. The letter from the Mayor can be found HERE. Attend Council meetings and speak during Citizen Comments or at Public Hearings. If you are unable to attend, email the City Secretary at: bbarrett@cityofwestworth.com and request that she read your comments during the Council meeting. Stop by City Hall and voice your opinions in person to the City Secretary or City Administrator. Throughout the summer and fall of 2013, the City completed a parks study to develop a long term plan for parks and trails throughout the community. 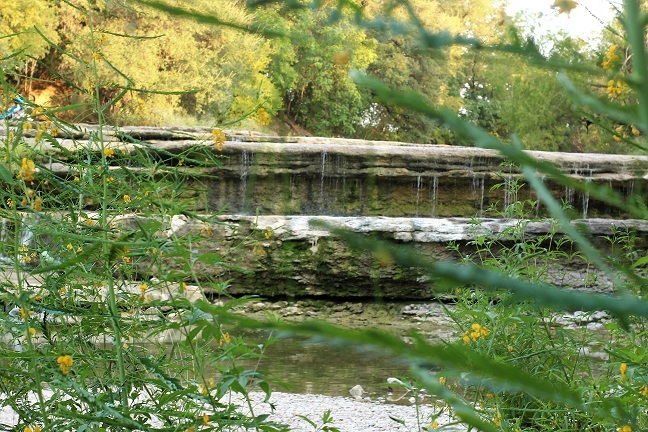 As a result of the study, the City Council contracted with Freese & Nichols Engineering to create a Parks & Trails Master Plan for a citywide park system. The Master Plan was adopted by Council on February 11, 2014. Click HERE to view the Master Plan. Click HERE to view a historical timeline of the City-Wide Trail System. 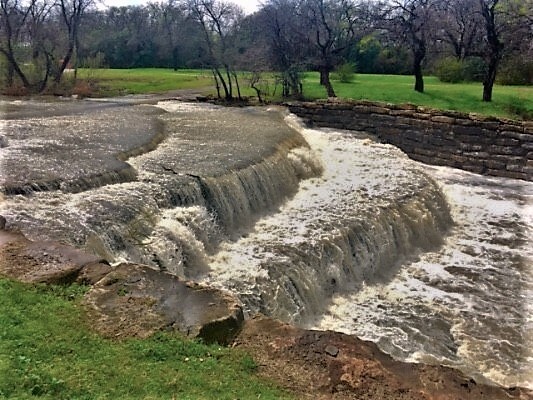 In addition to the City's plans for future parks and greenspace, the TRWD Board of Directors approved a contract for construction of the Airfield Falls Trailhead on Pumphrey Drive. The contract was awarded to Struhs Commercial Construction. The trailhead includes a new parking lot, picnic pavilions, restrooms, drinking fountains, and park benches. 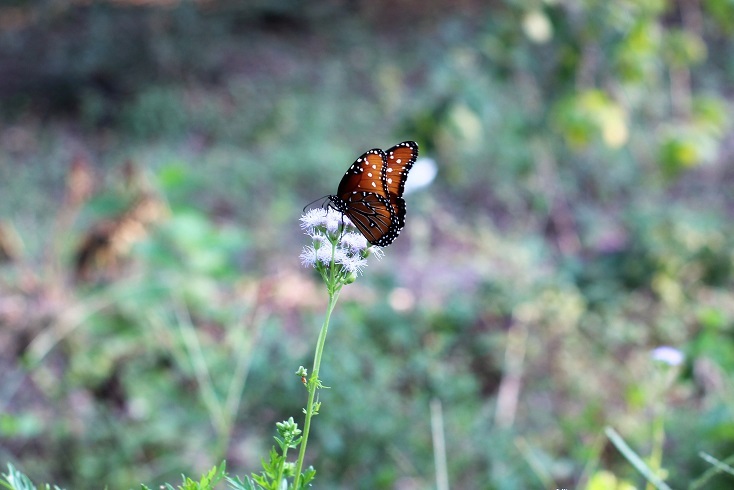 A conservation garden of native plants enhances the site and attract butterflies along the path. 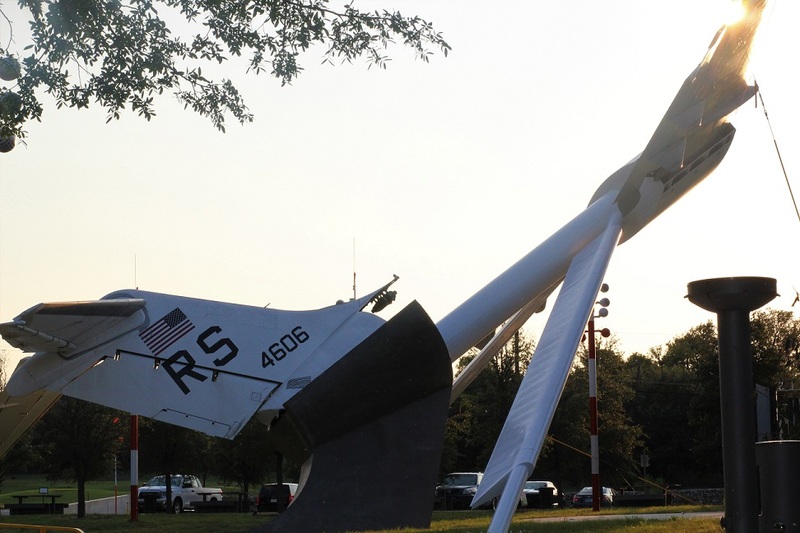 A military aircraft sculpture honors the history of the Naval Air Station Joint Reserve Base (NAS JRB). Click HERE for an artist's rendering of the site. For more information, check out this video about the falls. 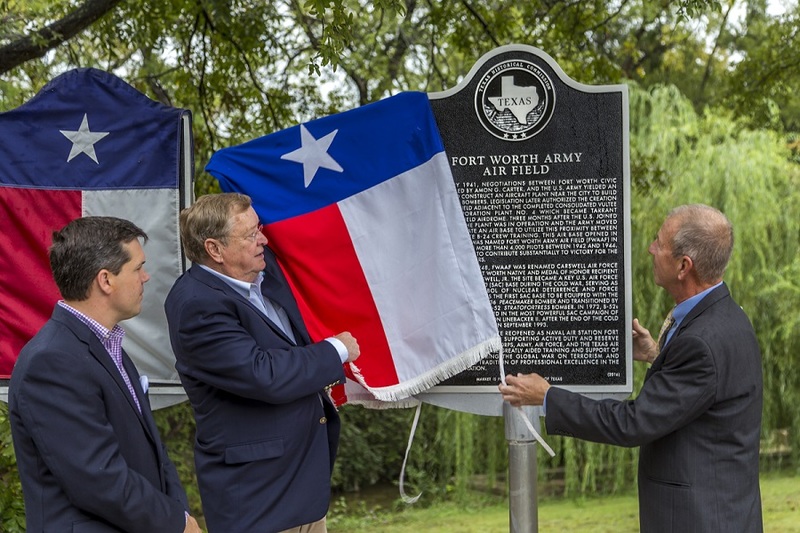 On September 29th, 2017, a dedication ceremony was held for Westworth Village's first Texas Historical Commission historical markers. 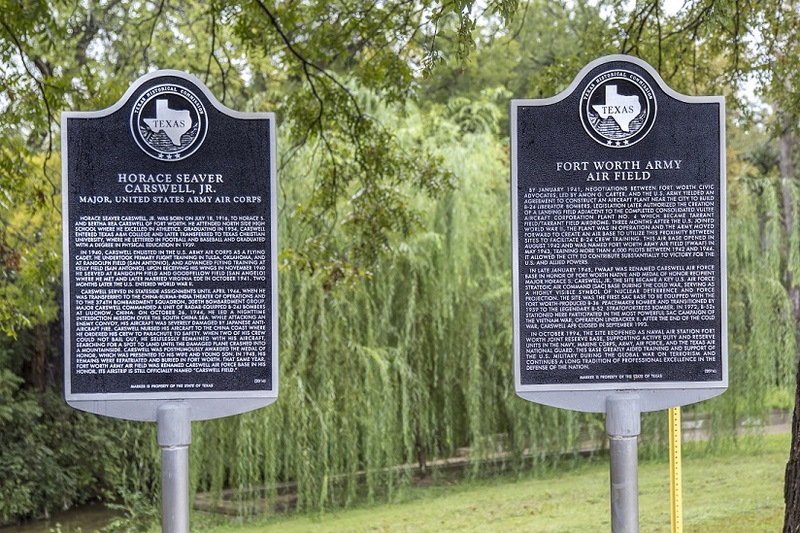 The markers are located near the entrance to Airfield Falls and commemorate the Fort Worth Army Airfield and Major Horace Seaver Carswell, Jr, United States Army Air Corps. Click HERE to learn more about the stories behind the markers. To see more photos from the dedication ceremony, click HERE.